GOLD! 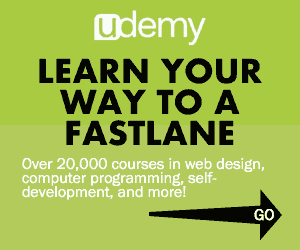 I've Read The Millionaire Fastlane! Discussion in 'Forum News, Updates, & FAQs' started by MJ DeMarco, Oct 21, 2010. Just finished the book while visiting the family. I'm not one to usually read business/marketing/economic type books (I'm more of a mystery gal or I do webinars/videos) but I really liked the flow of this book! I can't wait to send some of my favorite quotes around the office to motivate us. 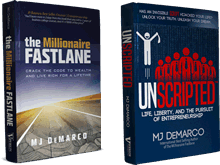 I have read The Millionaire Fastlane it five times now and always find new things to learn everytime, thank you MJ DeMarco for sharing your knowledge and your life experience! I'm Mario from Mexico I've read your book and I found it quite honest, and valuable. I found the book for a recommendation of a friend of mine and I am thankful for this. I hope to be an active member an participate in the forums. Now that there are over 250,000 copies out there in the wild, multiple language translations, etc. this is the thread to let me know that you've read The Millionaire Fastlane. Feel free to post your comments about the book as well! I read the Millionarie FASTLANE and read UNSCRIPTED right after it! I couldn't put them down! I loved them both and have recommended them to my 3 sons (2 have read TMF and 1 has started UNSCRIPTED) and to an number of friends and clients. I am an entrepreneur at heart but I can painfully see the mistakes and/or missteps I made along the way after reading both books! I've changed course to set things right! I've read this book, waaay after the fact. I actually stumbled on Unscripted first, referred by a friend, then immediately read MFL next, then Unscripted again right after. I heard of MFL years ago, but it seemed gimmicky so I avoided it (sorry MJ). Wish I had read it years ago (and same for Unscripted). So thankful to be here and learn from like minded people and share ideas together. I have read it and recommend it to all who feel stuck! Just finished the book. IMO a must read for anyone that is thinking about becoming an entrepreneur. Read it. This is my new bible for being an entrepreneur. I love it. UNSCRIPTED is on the way in my hands. I just finished the book ten minutes ago and figured I might as well check out this cool forum so.. here I am! And now onto Unscripted. Also.. MJ.. thank you for being awesome and writing this thing. Was just what I needed to get myself into gear. I've read The Millionaire Fastlane about an year ago, recommendation from Max Berger. After I read it I bought it in all versions I could (e-book, hard cover, audiobook) for gratitude to MJ and bought extra versions of it for my closest friends. I'm now on my way to financial freedom. Jump in, then find your way through it. I've read the book millionaire Fastlane. It changed my life, and my perception on how to make money. Definitely an influential book in my life! I've read the book, twice. It's the best mindset book I've ever read. I'm reading this book for the second time. I think the best book i've ever read at the moment. I hope to have writen good, i'm italian and my english is not perfect. Read it, and will read again! Read Fast Lane this month and now on unscripted. Some great insight and food for thought. Listened to this one about a year and a half ago and absolutely loved it. I immediately bought your next audio book and am listening for the 2nd time. I read it some years ago and it really blew my mind. Especially the commandments helped me to validate very fast which business have fastlane potential! Conquer yourself and you've conquered the world. I just finished reading the book. Incredible! Really changed my mindset. Looking forward to applying what I learned. Thanks MJ! I am an Entrepreneur. Writer. Reader. Thinker. My passion is to Read. Learn. Implement. Share. that's it , I've read THE book. Best book I ever read, thank you MJ Demarco you have definitely changed the way I see life and wealth!